Coming off a multi-home run performance, Yasiel Puig produced his first career three-home run game to propel the Los Angeles Dodgers to a 17-4 throttling of the St. Louis Cardinals. Puig became the team’s sixth player with at least 20 home runs this season. 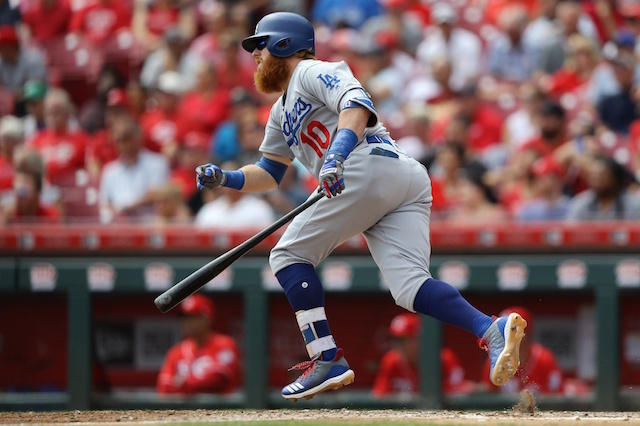 His power display was preceded by Manny Machado clubbing his 35th homer of the season, giving the Dodgers a 2-0 lead three batters into the game. It also extended their Los Angeles franchise record to 23 consecutive games with a home run. The 1953 Brooklyn team holds the Dodgers all-time record (24 games). Puig’s first home run on the afternoon extended the lead to 3-0. 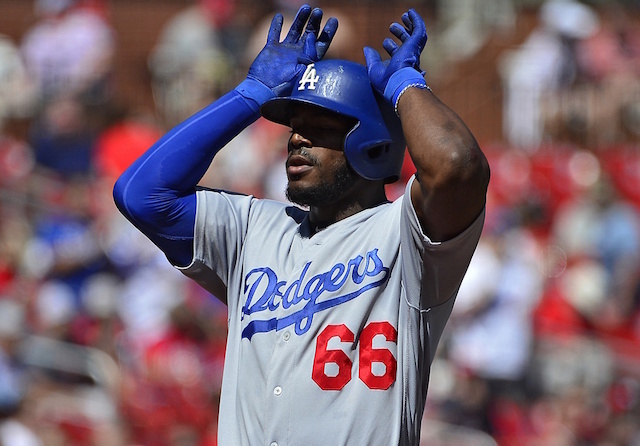 Following Cody Bellinger’s two-run go-ahead single, Puig’s line-drive homer capped off a five-run fifth inning that put the Dodgers ahead for good. Max Muncy and Bellinger each added an RBI base hit in the sixth inning for good measure. And if there was any doubt, Puig’s three-run homer put the game well out of reach, and Bellinger’s three-run blast completed the onslaught. Perhaps more encouraging than another offensive eruption was that the Dodgers managed to respond after Rich Hill suddenly lost command of the strike zone. Through three innings the Cardinals’ lone baserunner came on Patrick Wisdom’s infield single with one out in the second inning. His dribbler up the line was a point of contention as the Dodgers felt Wisdom ran out of the baseline, which replay appeared to confirm. He then truly became a thorn in their side when three consecutive walks led to Wisdom hitting a go-ahead grand slam. Buoyed by the Dodgers answering back to take the lead, Hill managed to get through five innings. The four runs, two hits and two walks were all he allowed, and Hill’s eight strikeouts gave him a sixth straight start with at least seven. Julio Urias saw his first action with the Dodgers this season, throwing a 1-2-3 ninth inning. The win moved the Dodgers one game ahead of the Cardinals for the second National League Wild Card spot. It also pulled Los Angeles into a tie atop the NL West standings, though perhaps temporarily, as the Colorado Rockies can reclaim first place by defeating the San Francisco Giants on Saturday night. There was a scare for the Dodgers when Justin Turner was hit by a pitch on his left wrist/forearm area. Turner was checked on by a trainer before remaining in the game. He went 3-for-3 and drew two walks to reach safely in all five plate appearances.